Perfect Concrete Care recently just finished concrete Grind & Sealing works for our client Art & Framing Co in Sydenham. 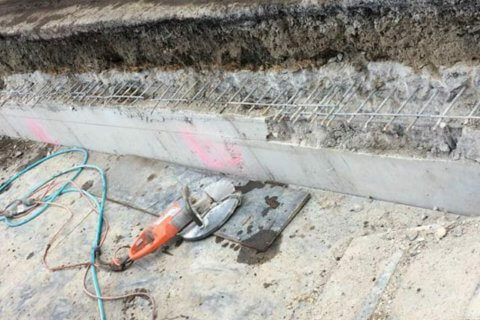 These works involved a general clean up of the slab followed by high grit diamond shoes to give a smooth finish before sealing. Firstly, our account managers met with our client on-site to discuss their requirements and the finished product they were looking for. Once we understood the client’s needs we organised all the equipment and team members required to start the project. 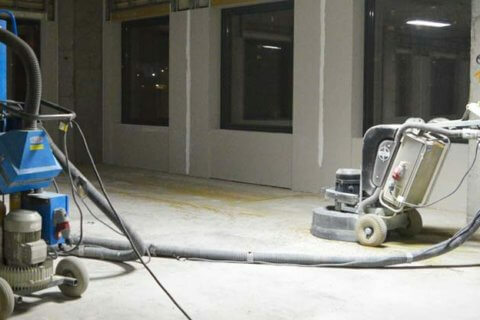 For this project, we allocated two of our most experienced team members with our HTC 650E Classic Floor Grinder and the handheld Hilti DG150 hand grinders to do the detailing around the edges. 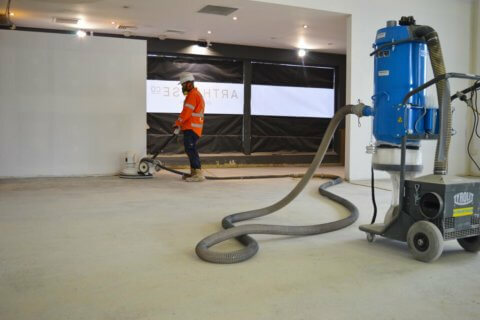 Our client also requested dust control so we used our Tyrolit VCE4000D Dust Extractor, this extractor connects directly to our floor grinders and drastically reduces the dust created during the grinding process. For this project, the client didn’t require much of the concrete aggregate to be exposed as they were going for a more industrial finish for their showroom. For the first pass, we went with the 25-35 grit diamond shoes to ensure we evened out the slab and leveled out the imperfections. Then we went with the higher 80-120 grit diamonds for a pass to smooth out the surface. 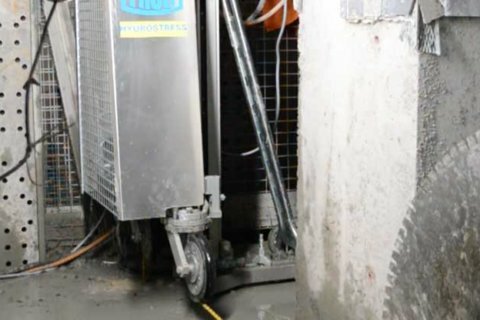 Once all the grinding was complete, we vacuumed the area thoroughly with our dust extractors to ensure the area was as clean as possible. We then vacuumed the area further with our Polivac system. Once we were one hundred percent happy with the surface, we applied our sealing product. The Result: Our client was delighted with the outcome of the works carried out. 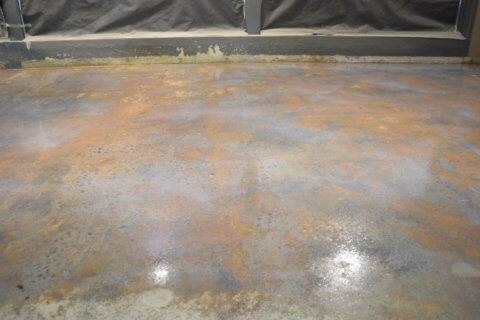 PERFECT CONCRETE CARE is capable of carrying out project like Grind & Seal, Industrial Finish for a showroom in Sydenham with a quick turn around, give us a call today on 0452 249 273.